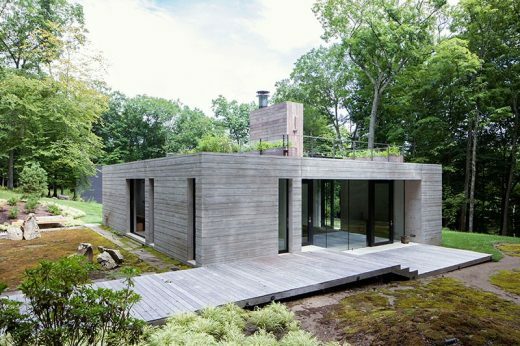 We select key examples of New York State Houses, USA. We include residential projects of excellent quality. 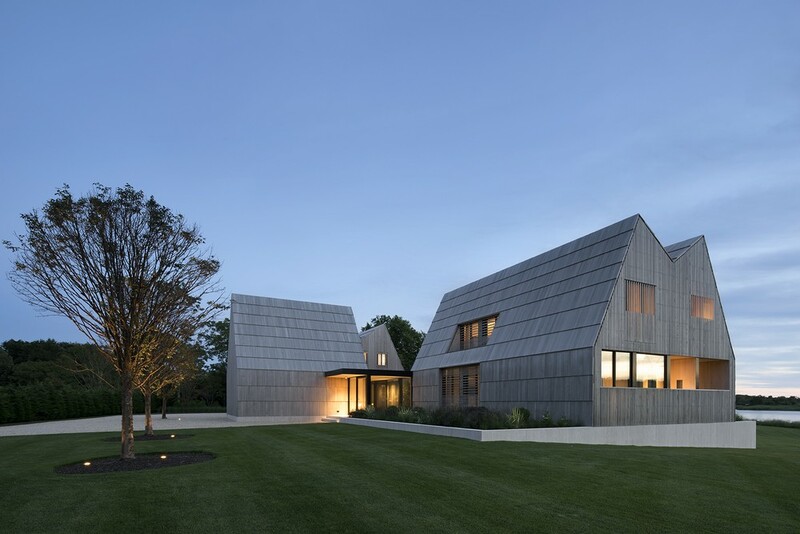 We cover completed NY State residences and new building designs across the state. 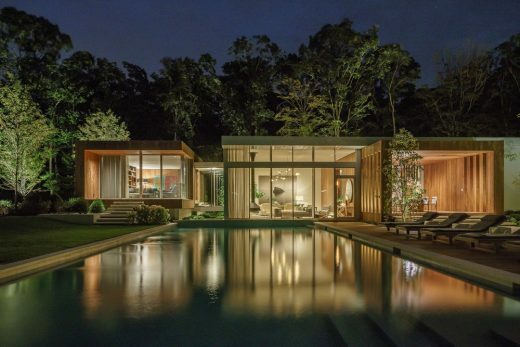 The focus is on contemporary properties but information on traditional NY homes is also welcome. The desire to build on this landscape is in opposition to the desire to preserve the landscape. This is resolved with two different strategies in the two volumes. One year after purchasing Old Orchard, a 10,000 square foot modern spec house, the homeowners brought on architects BMA to give the residence a complete redo. 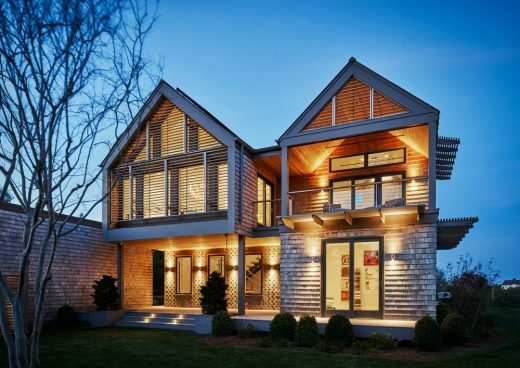 This seaside home is located in a postwar planned beach community with small lots. The property lacked a level ground plane. 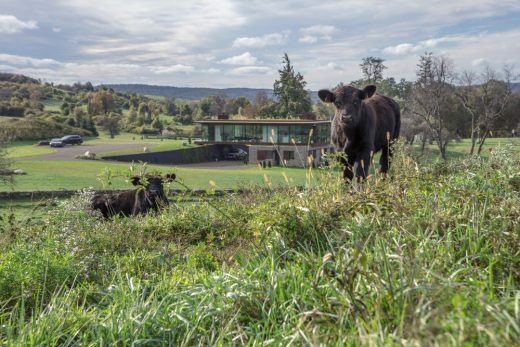 This new building occupies a corner of an eleven-acre estate constructed originally in 1912. Unique daylight and compelling landscapes have drawn artists to The Hamptons on Long Island’s South Fork for the last century and a half. 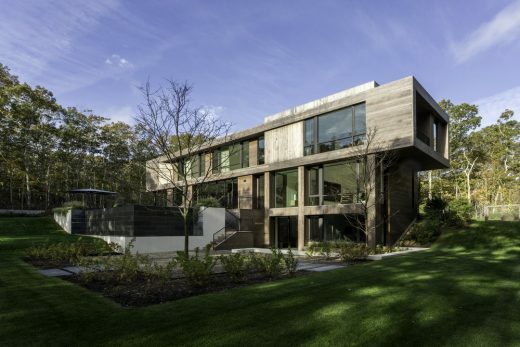 A four bedroom, 7,100 sq ft home in Southampton, NY. 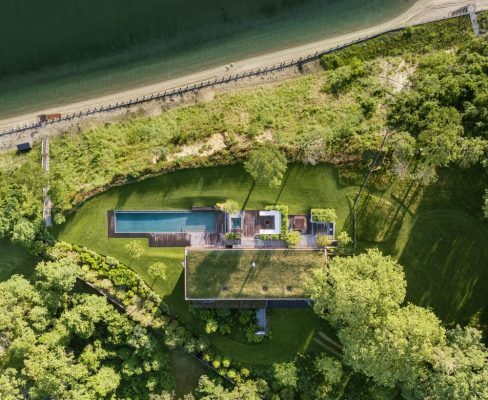 The clients were attracted to the pristine surroundings and envisioned the project as a secret enclave in the trees for themselves and their friends. 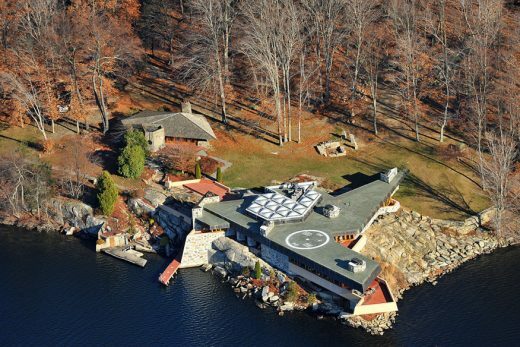 Two Frank Lloyd Wright properties are listed by international luxury real estate agency Chilton & Chadwick for just under $15 million. Bathing occurs along one side of the building in the forms of a sunken Japanese Riokan, a wood soaking tub, a steam room and shower. 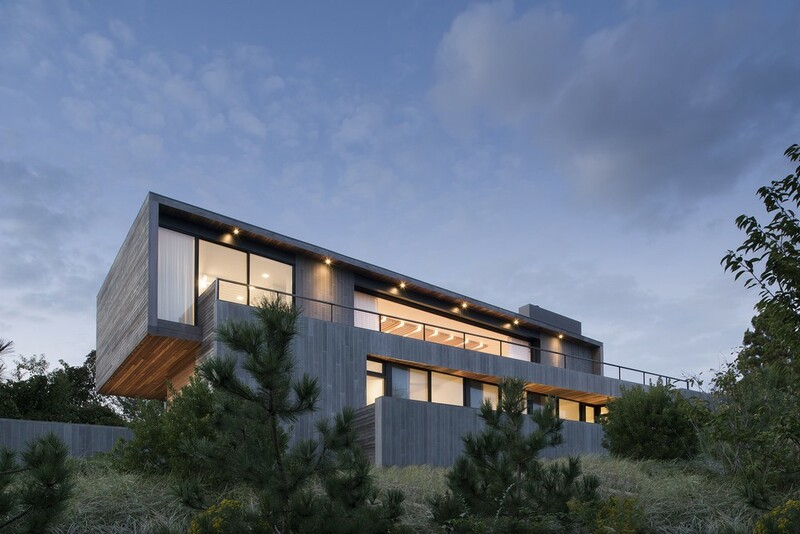 To take advantage of ocean views this “upside down” house was designed with open plan living areas, master bedroom suit and expansive exterior decks on the second floor. A couple with property on a cove overlooking the ocean asked for a house that would be comfortable for just the two of them the majority of the time. However, with their love of entertaining, the house had to grow on busy weekends to accommodate their children, grandchildren, and guests. 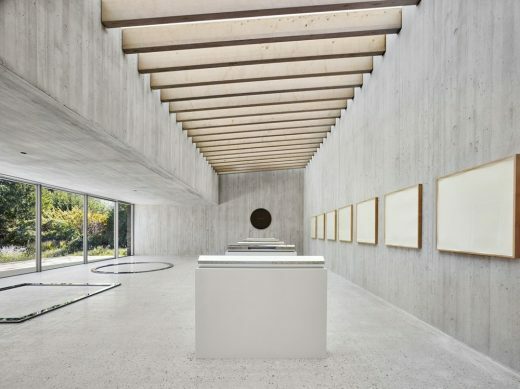 Three years after completion of the main house, the owners of the Tsai Residence approached the HHF team and Ai Weiwei to commission a guesthouse. The guesthouse brief posited three main elements: a bedroom, a workroom and a gallery for the two collectors’ art.